Derek Hough & Martin Short Join NBC’s Hairspray Live! Don't change that channel, because this casting is timeless to us! 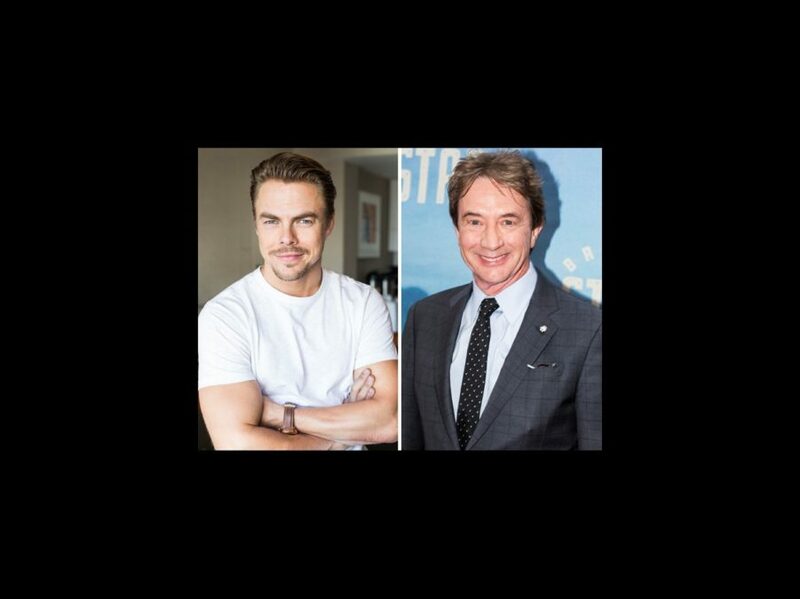 Derek Hough and Tony winner Martin Short are on board to star in NBC’s Hairspray Live!. The duo of Emmy winners will play Corny Collins and Wilbur Turnblad, respectively. They join the previously announced Jennifer Hudson and Harvey Fierstein, who take on the roles of Motormouth Maybelle and Edna Turnblad. The telecast is set for December 7 on the Peacock network. This is kismet for the Broadway-bound Hough, who told Broadway.com exclusively in March that he would "love" to take part in the live event. "I think it’s wonderful that musicals are being brought to television," Hough said. Additional casting, including the lead role of Tracy Turnblad, will be announced at a later date. The telecast, helmed by Kenny Leon and with live TV director Alex Rudzinski, will air from Los Angeles. This is a first for NBC: Their recent musical events, The Wiz, Peter Pan and The Sound of Music, were shot in New York. Hough is a six-time winner of ABC's Dancing with the Stars and took home two Emmy Awards for his choreography on the show. He is set to star in Broadway's Singin' in the Rain next year, having previously performed its title number in Radio City Music Hall's New York Spring Spectacular. His additional credits include Burn the Floor on Broadway, Footloose in the West End and Nashville on the small screen. Short, who starred on Broadway last year in It's Only a Play, won a Tony Award for his performance in Little Me. He won an Emmy with John Candy, Andrea Martin and more for their writing on SCTV and one for AFI's Lifetime Achievement tribute to Mel Brooks. He also appeared on Broadway in Martin Short: Fame Becomes Me and The Goodbye Girl. His screen credits include Father of the Bride, Mars Attacks!, Three Amigos and Saturday Night Live. The tuner features music by Marc Shaiman, lyrics by Scott Wittman and Shaiman and a book by Mark O'Donnell and Thomas Meehan. Hairspray follows plus-sized teenager Tracy Turnblad in 1960s Baltimore as she attempts to become a cast member of The Corny Collins Show, a popular local dance TV series. Tracy soon finds herself leading a civil rights campaign to integrate the show. Hairspray, based on the 1988 John Waters film of the same name, opened on Broadway on August 15, 2002 and ran for 2,642 performances. The Fierstein and Marissa Jaret Winokur-led show took home eight Tony Awards, including Best Musical. It was subsequently made into a movie, starring John Travolta and Nikki Blonsky, in 2007.